T Narasipura, short for Tirumakudalu Narasipura, is a temple town of Mysore district in Karnataka. Tirumakudalu or Sangama literally translates to "confluence of three rivers". The three rivers merging here are river Kaveri, Kabini and Spatika Sarovara (a mythical lake that is also known as Gupta Gamini). The name "Narasipura" is adopted from the famous Gunja Narasimhaswamy Temple, located on the right bank of the river Kabini. T Narasipura is also known as Dakshin Kashi, since it is similar to the sangama of the rivers Ganga, Yamuna and Saraswati at Kashi. Kumbhmela is a major festival that is celebrated here with grandeur, once every three years. Here are the places that you can visit on the way to the temple town of T Narasipura. Kaggalipura lake is known for being a home to the Bar-headed Geese, due to the Bannerghatta National Park situated in the vicinity. Kaggalipura is located about 25 km from the city. Apart from Bar-headed Geese,the lake's habitat consists of bird species such as Eurasian Kestrel, Black Eagle, Red-naped Ibis to name a few. If you enjoy bird-watching, then don't miss out on their migration period, which happens in the months of January and February. If you're curious about Kerala-style temples, then Guruvayurappan Temple in Nettigere is the place to be. Located around 35 km from Bangalore, Nettigere is a small village, famous for the Guruvayurappan Temple. 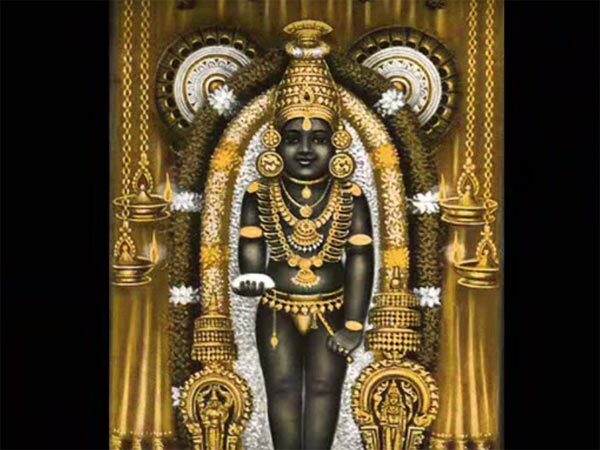 It is dedicated to Guruvayurappan who is said to be another form of Lord Vishnu. It is quite similar to the main temple at Guruvayur in Kerala, in terms of the temple structure. They also follow the tradition of wearing only Shalya and Dhoti for men, before entering the premise. However, women have no such restrictions. The town of Kanakapura is located 62 km from Bangalore. Apart from being famous for the production of silk and granite, Kanakapura is a favoured tourist hotspot amongst trekkers and wildlife enthusiasts. Bilikal Rangaswamy Betta is a popular trekking spot in Kanakapura. Many local services are available which offers a complete trekking package. Shivanasamudra literally translates to "Shiva's sea". It is a city which is located in Mandya district of Karnataka, 74 km from Kanakapura. Shivanasamudra Falls is located on the river Kaveri, which flows through the Deccan Plateau and falls from the height of 330 ft. It breaks into two other falls, namely, Ganganachukki and Bharachukki. These falls are separated by just a few kilometres geographically, but take around 20 km by road. Although it is a perennial waterfall, the peak season to visit Shivanasamudra Falls is between August and October. T Narasipura is well-known for the Gunja Narasimha Swamy Temple, that is located on the banks of River Kabini. The temple was built in 16th century in Dravidian style of architecture by the Vijayanagara emperor. It is considered sacred since it is perched near the sangama of the three rivers. Agastheswara Temple is located on the banks of River Kaveri. It is believed that the deity, Lord Shiva, was installed by the sage Agasthya in this temple, hence the name. An interesting aspect of the Shiva's idol here is that, water trickles down from the head of Lord Shiva in this temple. It also has a temple complex containing monuments belonging to many dynasties. Bhiksheswara Temple and Anandeswara temples are the two other places in the vicinity that must be visited.